. :: informissima - Sumo ::. 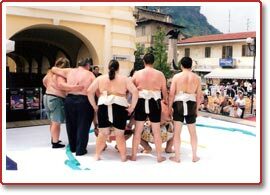 Sumo is a very ancient Japanese discipline and sport. 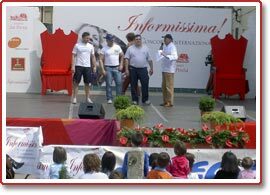 We were honoured to welcome in Cavour the Italian federation of Sumo wrestlers on Saturday at 3.30 p.m. in Piazza Sforzini and on Sunday May 7th. They gave nd us moments of joy competed and played with children for us. We particularly thank: Fausto Gobbi, Matteo Formiconi e Alesssio Leo.